Labour Behind the Label has been meeting survivors and families of victims of the Rana Plaza collapse in Bangladesh this week and is shocked and deeply saddened by the number of people who, 18 months on, are unable to find work or rebuild their lives. In the aftermath of the terrible collapse in April 2013, much has been done to prevent another disaster and for those who were not working in one of the five factories in Rana Plaza the measures being introduced through the Bangladesh Accord on Fire and Safety offer the hope of a safer future. However, for more than 2,000 women and men who survived the collapse, compensation has not been forthcoming and 18 months after the collapse the compensation fund still needs US$20 million. The current shortfall is being blamed on the failure of leading brands like Benetton, who were sourcing from the factory, to make even an initial payment into the Trust Fund. The significance of not receiving full payments can be felt most keenly when talking to young women who are head of households. Alongside the physical and emotional damages suffered they have no financial security. Women like 18 year old Mahinu Akter, who just two days before the collapse of Rana Plaza, became the sole earner in her family when her father was killed in a bus accident. Mahinu, had been working at Rana Plaza since she was 14, to help support her mother and two brothers. Mahinu has only received just 95,000 taka or £770 in compensation. Mahinu sustained head injuries, and lost a toe in the collapse. She spent 20 days in hospital. Once she was released she was in bed for a month and couldn’t eat. Even now she struggles to eat and has lost her appetite. She suffers from pains in her feet, swollen legs, memory loss and constant headaches. 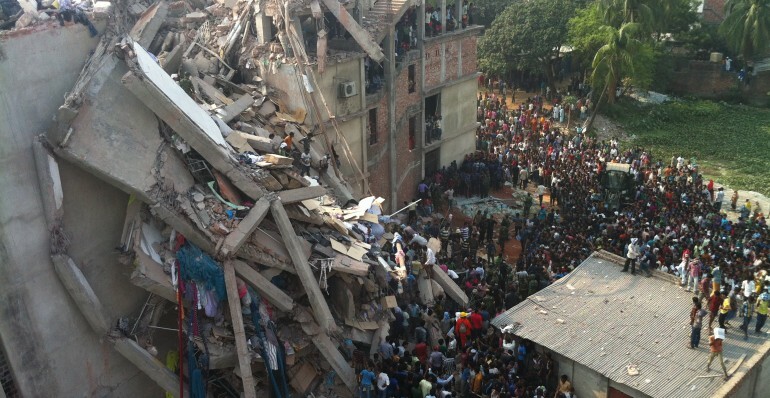 The fact that the Rana Plaza Donor Trust Fund has only been able to provide 40% of the compensation payments due to Mahinu and others like her – due to big brands not paying what they owe – means that, for most, making long term plans are impossible. “In many cases the fact that full compensation cannot be made is having a serious impact on the usefulness of these payments. Receiving money in small amounts means that for people already living in dire financial straits they have no choice but to use it for daily life, instead of saving it or investing in a new business or land to ensure they will manage in the long run,” adds Sam Maher. 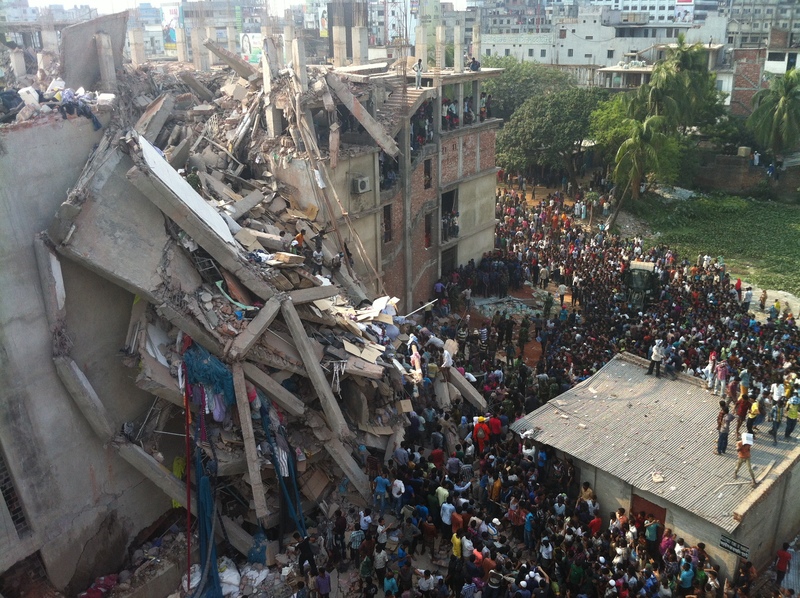 Benetton said in the aftermath of the collapse that it was committed to “working directly with those affected by the Rana Plaza disaster” however by failing to commit to the ILO managed Rana Plaza Donor Trust Fund, they have failed the women and men they relied on to make their profits. Instead of receiving the compensation they are entitled to, young women like Mahinu remain at the mercy of charitable donations, which can be unpredictable and inconsistent and leaves those unable to find work in a cycle of poverty. Mahinu, as with so many others, sees little chance that brands, like Benetton, will pay up, “It doesn’t matter what we think about compensation, we know they will never give it to us,” she says.